You know that I've hardly done any Christmas shopping! Lol. I'm going to try and make sure that I do however get as much done before the absolute last minute rush heads out to theirs. 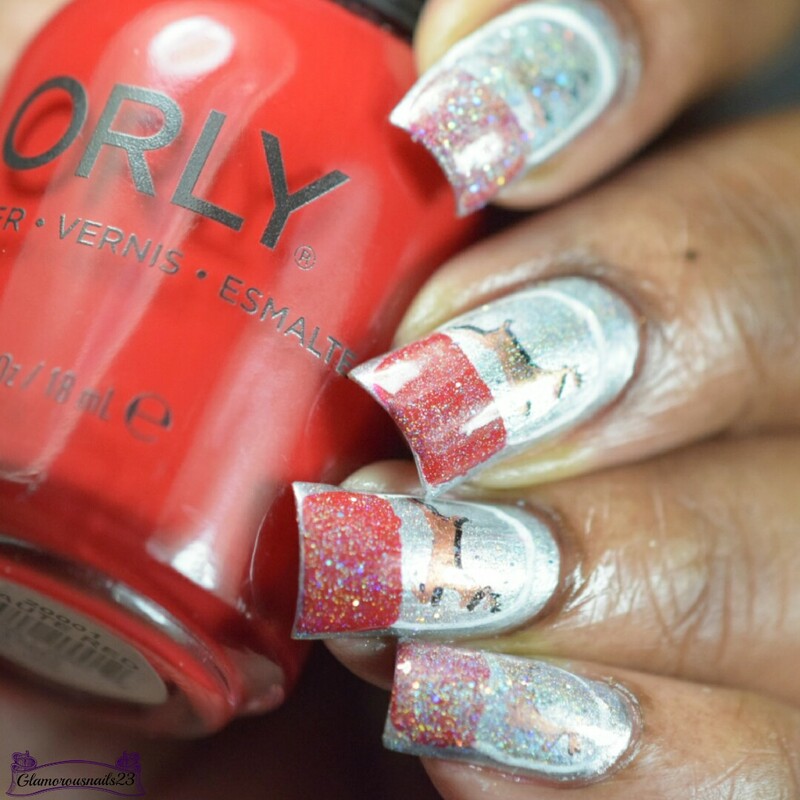 I've got another post for you this evening since I haven't shared any manis for the challenges I want to participate in this month! 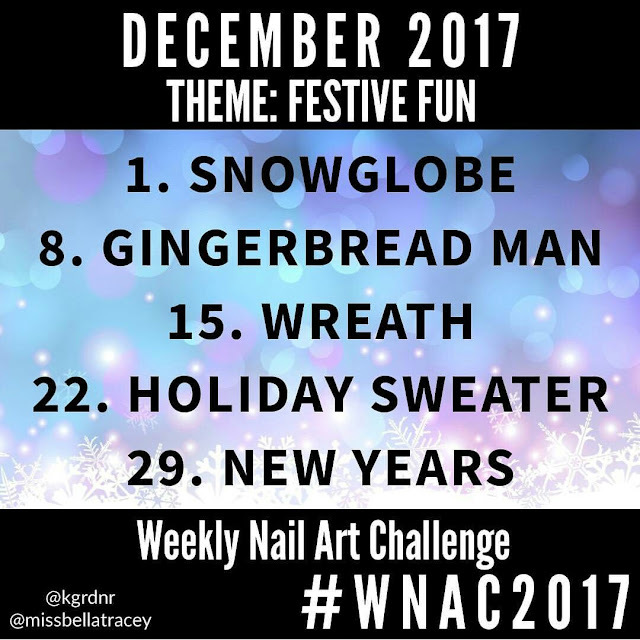 Before I get into the details of the mani I wanted to share all of the prompts for this months WNAC! So since the first prompt for this month was snowglobe I thought I would just keep it straightforward. So I went in with a little bit of freehand for the snowglobe base and the round part of the snowglobe. Now I know usually you don't see a reindeer in a snowglobe but, I keep seeing this car commercial with a little girl who shakes her snowglobe and various things happen. 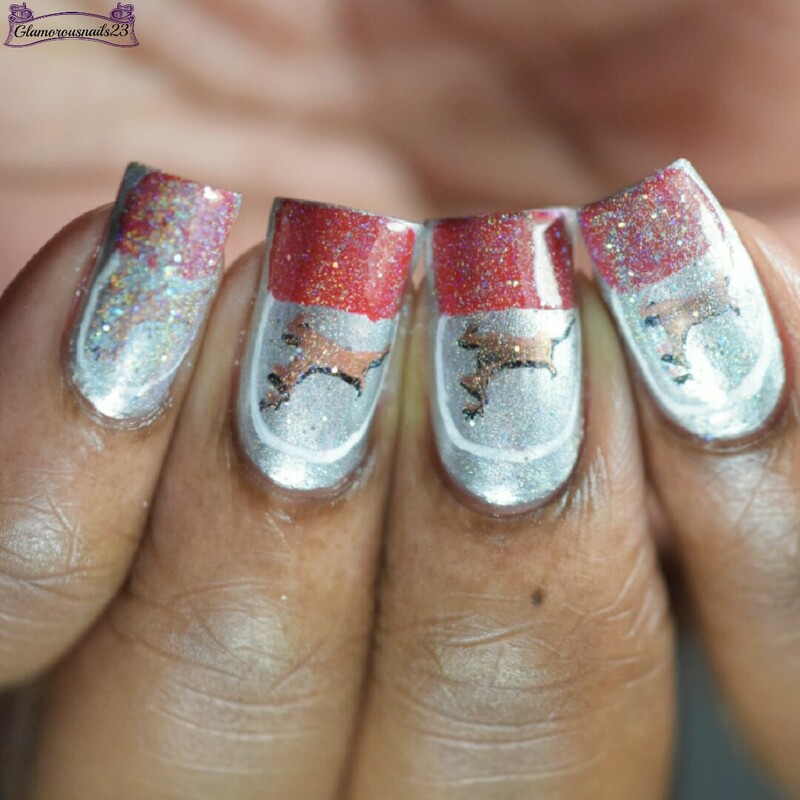 One of those things was a reindeer appearing outside of the car that she's in lol. 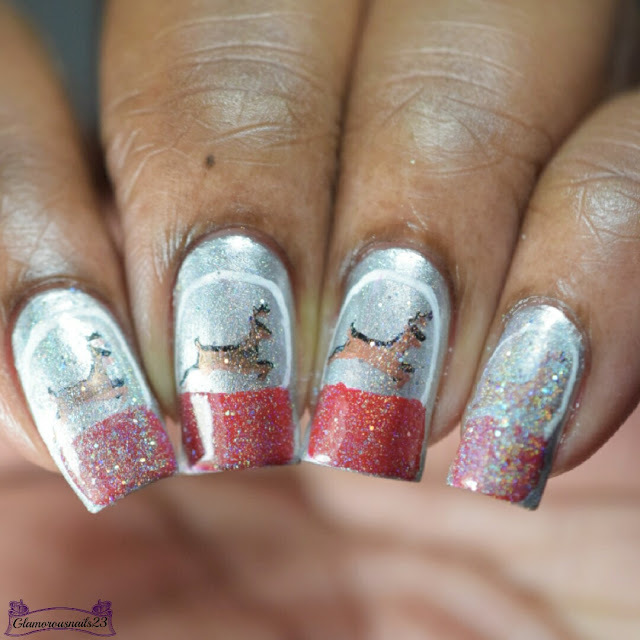 I also went in a bit heavy handed with Mirrorball on my pink and index finger but oh well!